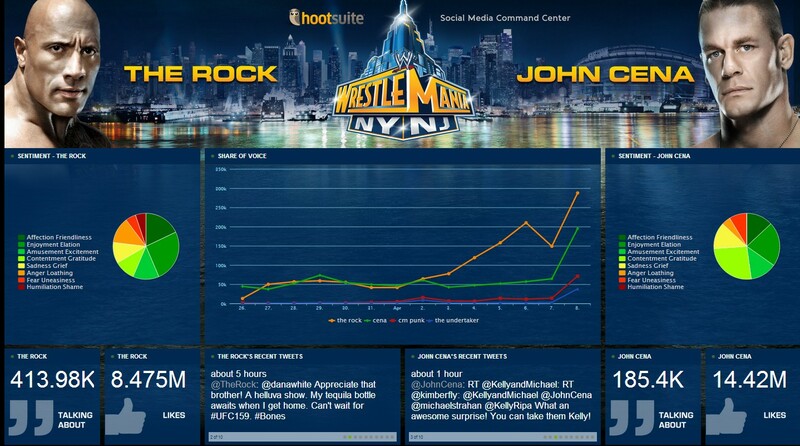 We have discussed the relationship between sporting events and social media interaction in the past, so it was no surprise to see social activity rising for one of Wrestling's biggest events. Wrestlemania is a favourite amongst WWE fans, with the 29th edition taking place at the weekend, and this was recognised through the creation of a social command centre for them. As you can see from the above image, the centre informed fans of the types of posts that the 2 biggest stars at the event were publishing. It also included a live feed of most recent tweets and a summary of fan interaction. These initiatives not only help with brand awareness and interaction, but they also aid brands in creating positive relationships with their customers/viewers. Is Google Testing Twitter App for Glass? A New App For Female Safety. Is Will.I.Am the New King of Social Media?